The 3 series BMW has long been a favorite of car enthusiasts because of its practicality combined with its sporting driving nature. Some would even consider it the poster child for Sport Sedans of the world and some consider the E46 generation of the 3 series to be the best of the family, even with two newer generations available. So we at Driving Feel thought a good solid E46 setup just right, would make a good first review to post on drivingfeel.com. 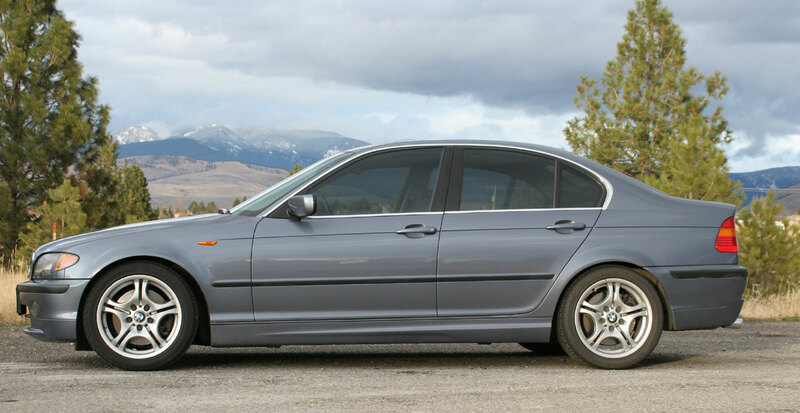 So here for review we have a 2002 BMW 330i with manual transmission and the desirable sport package. But before we get into the finer details of the car, some background information on the E46 generation of the BMW 3 might be helpful. The BMW 2002 (The model 2002, not the year) was the little sports coupe (2 door only) that put BMW on the map in terms of sport coupes and sedans. It was light and agile and brought a smile to many enthusiasts faces in the 1960’s and 1970’s with all 108hp being put to good use (130hp in the turbo 2002tii). We would like to get a 2002 here to do a full test and writeup on someday, but that is for another time. 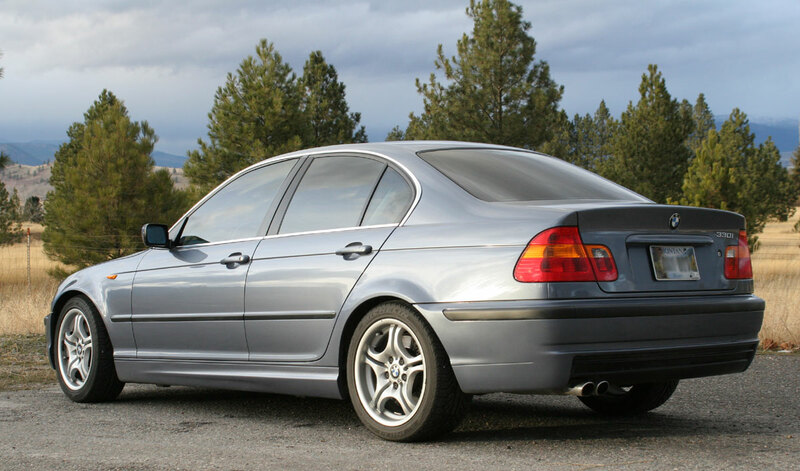 We mention the 2002 because it is what spawned the 3 series way back in 1975. That first generation 3 series was known internally at BMW as the E21 and was only available as a 2-door coupe, much like the 2002. During the lifespan of the E21 from 1975 – 1983 there were various models that included the 316, 318, 320, 320/6, 323, and others. They were powered by various 4 and 6 cylinder engines from about 75 – 140 hp. The cars remained light and agile and some models even received 4 wheel disk brakes. In 1982 the second generation of the 3 series, known as the E30, was available on the market. This is the generation where BMW started to get serious about performance with several performance oriented versions of the 3 series, such as the 325is which was available with cool options such as a limited slip differential, M tuned suspension, and other goodies. Of course, the E30 was also the generation that introduced the world to the M3. The first M3 making its debut in 1989 and had a 192hp straight four cylinder. It was a pure drivers car and they are very sought after today. The sedan and coupe versions of the E30 ended in 1991, though the convertible continued until 1993. The E30 was superseded by the third generation 3 series, known as the E36 starting in 1990. The E36 introduced us to the multi-link rear suspension and the VANOS variable valve timing system made its first appearance in 1993 on the BMW DOHC inline 6 engines. The E36 enjoyed exceptional success and further laid the ground work for the E46 and it too also received a M3 version, it being a bit more refined than the E30 version, and a lot more M3’s were sold. 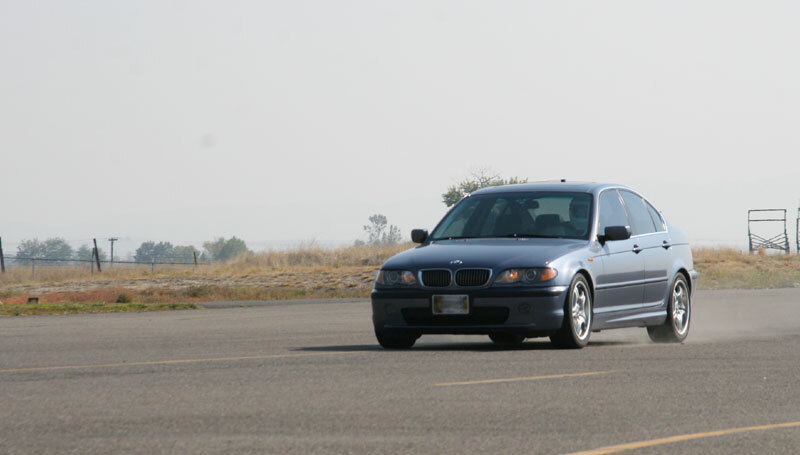 The E46 started coming to the market in 1999 with the 4-door Sedan version, available as a 323i and 328i. The E46 was styled with an aggressive, if not brutish, style and it also had many improvements and refinements over the E36 generation. 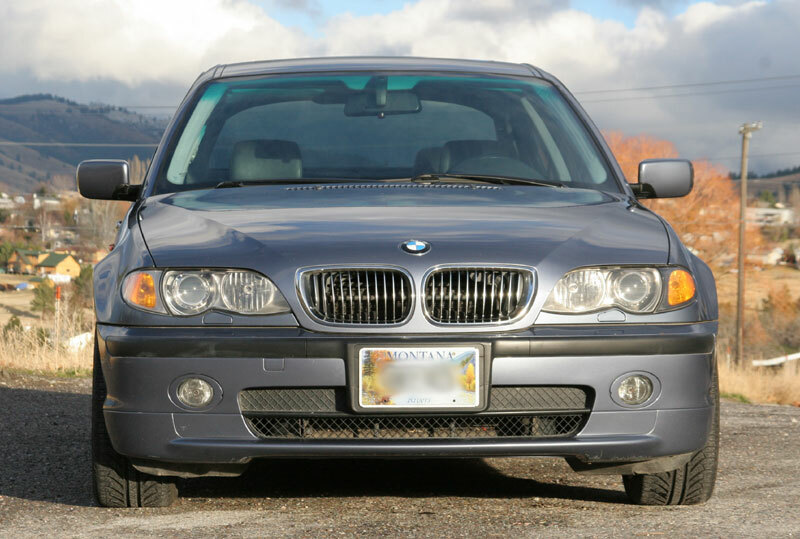 In 2001 the 325i and 330i were introduced with engine upgrades and that gets us to our 2002 model year BMW 330i finished in a very nice Steel Blue Metallic paint and black leather interior. This is a 4-door sedan version that is equipped with a manual transmission with 5-speeds and importantly, it also has the Sport Package. When we were looking for the right 330i it had to have these two options. The 330i model has the 225hp inline six with 214 ft-lbs of torque available down at 3400 rpm. The engine does require premium fuel, so expect to pay a little more at the pump, but it sure is worth it! The styling of the E46 still looks good today (2013) and it has aged very well. This car is 10+ years old but still looks sharp and gets comments from family and friends. It certainly has an aggressive posture and the factory sport suspension package has about an inch lower ride height than standard, and it really helps with both performance and looks. If you look at a 330xi with its all wheel drive and higher riding suspension, it almost looks like a 4×4 compared to this car with the lower ride height. Of course, that sport suspension also has firmer springs and provides the M wheels with offset tire sizes, 225/45-17’s up front and 245/40-17’s in back. The staggered tire widths add to the aggressive look of the car which we universally give a nod of approval to. The interior is typical BMW 3 series. There really isn’t anything spectacular about it and compared to a same year Audi A4, it does seem a bit spartan and perhaps not as nice. But the sport bucket seats with larger side bolsters, again a part of the sport package, are comfortable and supportive and look great and even have adjustable thigh support. The instruments and controls are angled and focused to the driver and that is what sets the 330i apart from the likes of an Audi. The driver is the central focus point of the car and that is where the BMW shines. Everything is focused on the driver and the driver seems to have a higher priority to the BMW engineers than the rest of the passengers, and here at Driving Feel, we think that is the way it should be! The interior of this car has weathered well and while there are a few scuffs and a slight cut/scratch in the drivers seat, it is otherwise still in good shape. The three spoke sport steering wheel looks good and feels good when driving as well. Of course, that brings us to the driving portion of the evaluation. Sure, the car looks nice, is comfortable enough, but how does it drive? That is the final question we ask about all the cars we drive here! The inline six starts easily with a turn of the key and we are reminded that while the 330i is a performance sedan, it is still a luxury sedan and the exhaust note, which has the hint of a nice throaty sound, is restricted and not allowed to really come out and sing. That is unfortunate since it does sound pretty good when the revs start to build up, but it is just too quiet to be considered really sporting in nature. The peak torque of the engine does come down fairly low in the RPM range and the car does pull well even when you are not in the optimal RPM range, and when the revs get above 4000 RPM it really starts to pull hard. You will notice in our 0-60 MPH test we were only able to get 8.88 seconds and the quarter mile took a slow 16.56 at 88 mph to complete. So what happened? Well, as is the problem with used cars, normal wear items sometimes wear out. The clutch in this case. The clutch was fine in normal use, and in fact it was fine when running hot laps, but when launching from a standing start, it would slip preventing any hard launch. So Skip, our guy doing the acceleration tests, did his best to get a semi-aggressive launch without the clutch slipping and was able to get some data for us, though undoubtedly the times will go down considerably when the clutch is replaced. The handling traits of the 330i may catch some drivers by surprise, especially if they are just wanting a cruiser. The offset tires combined with the suspension geometry and factory specs for alignment combine to make the car tram-line quite noticeably. Tram-lining is when the car wants to follow the undulations in the road and it feels like the car is tugging and pulling at the steering wheel. The make and model of the tires play a roll in this and the severity of the tram-lining can change with the switching of tires. It is not severe, but it is noticeable, and we view it as one of the indicators of a driver focused car. It wants to be “driven” and is setup to handle more neutral than other luxury sedans, and when driven aggressively, either on the track or your favorite country road, it really comes out to play. The car obeys the command of the driver quite nicely with good turn in response and it settles very nicely through the turns. While the car does not have a limited slip differential, it still can be drifted easily around turns with proper setup and applied power. 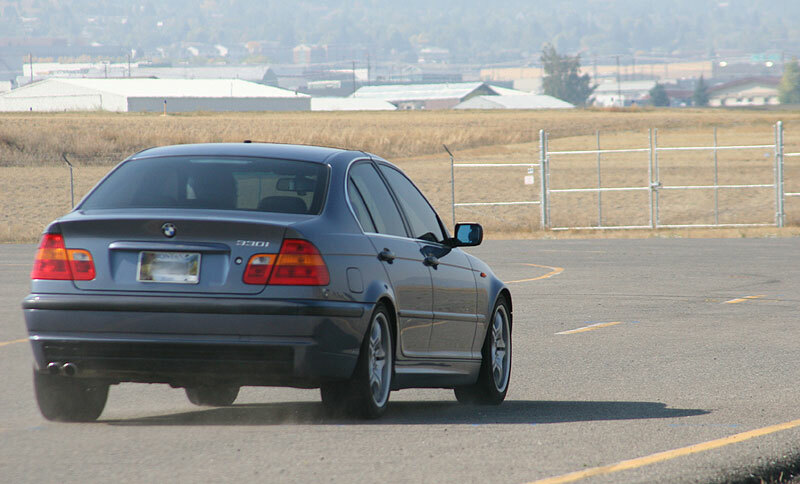 The 330i does have traction and stability control, but they both can be fully disabled and to get the best performance on the skid pad and the track they needed to be. Our skid pad had a fine film of dust over it which limited the grip but we were still able to get .84 g with the car showing just some mild understeer. The brakes worked well and were able to bring the car to a stop from 60mph in 121ft and when on the road course they did not show signs of fade. Though our road course is only 1.2 miles long and we only ran 3-4 laps at a time which is overly grueling on brakes. The brake feel is very good and the pedals are placed nicely for heel-toe work. On the road course the car was extremely easy to place where you wanted it and it was a very forgiving car to drive on the track. The tires were high performance all-season tires, which we figured was something more appropriate to have on the car given its sedan status versus ultra high performance summer only tires. 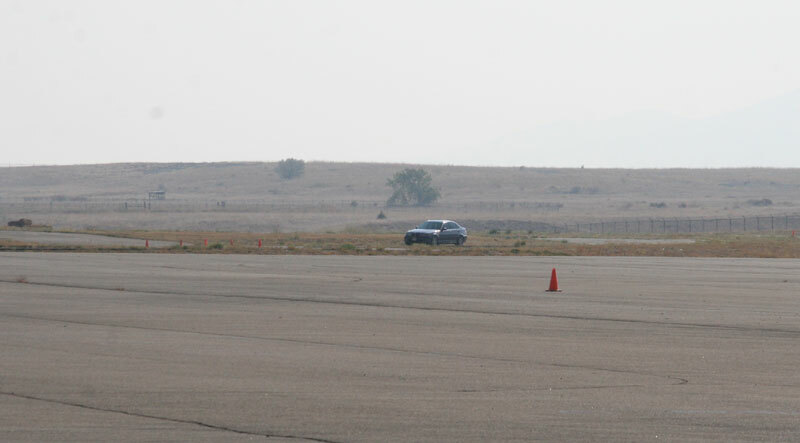 We were not able to touch 100 mph on the front straight, but we got close at 96.5 mph, and the car was very fun to drive. The more we became familiar with it on the track, the more aggressive we became, clipping apex’s and tightening up the line and we were able to run a lap in 68.89 seconds which is very respectable. We also saw a peak of .98g in turn 1, a hard left-hander at the end of the front straight. The E46 330i has been replaced now by a few generations of 3 series BMW’s, but for a Driving Feel car, this really is a good one. It surprised us on how fun and easy it is to drive on the track, truly a car we would let our teenage kids go out and have fun with on the track (though perhaps with the stability control turned on) and amazingly enough, the car also achieved 29.89 MPG when driving over to the track, which is about a 2 hour in town and interstate drive from our head quarters. 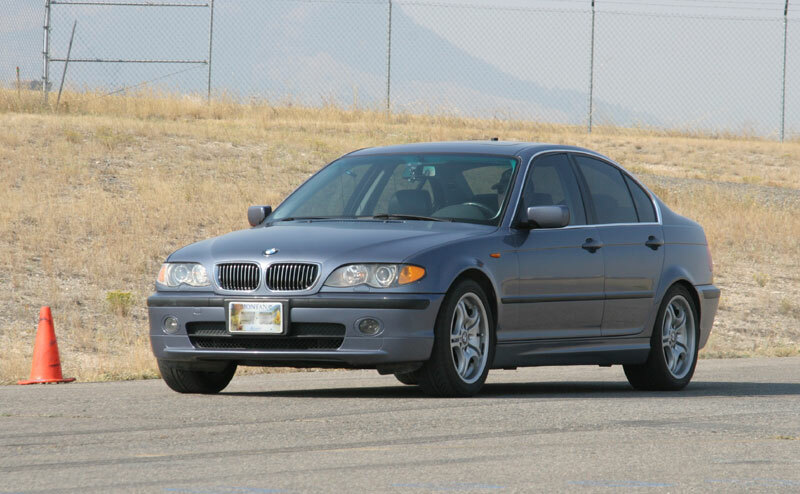 We feel that the E46 BMW’s are an excellent choice for an affordable fun to drive sporty car. They are available for under $10,000 in good condition with decent miles and if you take your time to find the right one with the sport package, you will be rewarded with an excellent sports sedan. A caution of warning does need to be raised about repair costs as the BMW, like all German cars, parts can be expensive. Find a well sorted one and they are reliable cars and a very good car to enjoy your passion of driving in.